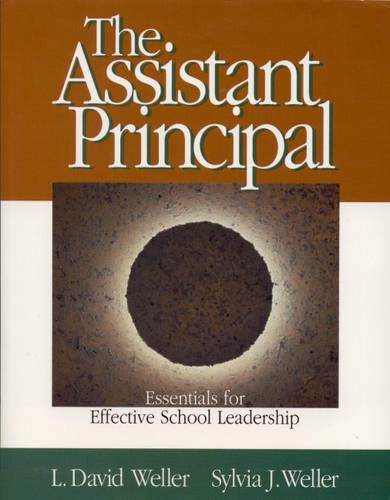 The Assistant Principal: Essentials for Effective School Leadership, is a combination guidebook and reference book aimed toward developing the role of the assistant principal as an integral position within school administration. It is intended to provide guidance for teachers preparing to become assistant principals, assistant principals preparing to be principals, and current assistant principals who need to develop the skills necessary to be effective school leaders. The book addresses the needs of students, instructors, and practitioners by discussing the ways in which effective leadership and strong relationships between faculty and administration will improve education. In order to assess the skills, knowledge, roles, and responsibilities required of the position, authors L David Weller and Sylvia J Weller administered a comprehensive survey to 100 assistant principals around the country. The results of the survey were used as the basis for the book's content. The Assistant Principal: Essentials for Effective School Leadership is a unique publication, using real life examples, case studies, exercises, and field-based research to show how the effectiveness of an assistant principal is dependent on communication, leadership skills, and knowledge.